U2 has been battered over these last few years. They are one of the last stratospheric rock stars where the genre has all but vanished from the radio. The Apple fiasco overwhelmed the tunes for Songs of Innocence. Their last album that made a lasting impression on the public came out in 2004. Their heroes and peers are dying at a distressing rate. The world order they’ve always preached about seems to be collapsing before their eyes. And among all this, Bono suffered a health scare that shook him to his core. It hit him hard enough to write these songs as letters to his loved ones, in case they were the last words he ever wrote. What does this mean for Songs of Experience? It finds a U2 that’s rattled, questioning and unsure. To that end, they embrace what they do best: creating music that balances this personal and political darkness with joy. In their strongest outing since All That You Can’t Leave Behind, the four-piece writes both sweeping anthems as well as some of the most effortless songs of their career. The stakes are particularly raised for Bono, with mortality and faith on his mind. “I shouldn't be here 'cause I should be dead/I can see the lights in front of me,” he sings on Lights of Home, over a dry, dirty riff that Edge borrows from HAIM, “Oh Jesus, if I'm still your friend/What the hell you got for me?” The song achieves escape velocity through a singalong gospel ending, with rolling drums and warped guitar tones. Another highlight, The Little Things That Give You Away, tackles the aftermath of this scare, where Bono sings, “Sometimes/I wake at four in the morning/Where all the darkness is swarming/And it covers me in fear.” Starting with an electronic drumbeat, the track pulses and builds over a classic Edge echo riff, bursting into a majestic conclusion. Its underlying doubts make the cathartic ending all that more powerful. Despite the heaviness of some material, not every track on Songs of Experience carries the weight of the world on its shoulders. You’re The Best Thing About Me is a straightforward love song with a sweet catchiness that overcomes the iffy production. In that earworm mold, The Showman (Little More Better) is…much better! It’s a breezy pop arrangement of acoustic guitar chords, lovely vocal harmonies and a brassy synth bridge. The loose vibe carries over to a couple of the political tracks on the record. The California beach melody of Summer of Love disguises a lyric about Bono relaxing and looking out to the Mediterranean Sea, the same water Syrian refugees are entering miles away, desperate to escape. Red Flag Day is blunter in its take on the Syrian crisis, but robustly buoyed by a blast from the past. U2 calls up the sounds of War for a thrilling, tight track of angular guitar, wailing backing vocals and a slippery bass line. 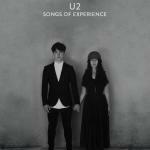 Songs of Experience stumbles though when the band turns its focus to America in the aftermath of the 2016 election. Both Get Out Of Your Own Way and American Soul are missteps on opposite ends of the spectrum, wasting a Kendrick Lamar guest segue. The former is the laziest tune the band has ever written, a dull reheat of Beautiful Day. The latter recycles the lame “You! Are! Rock and Roll!” bridge from Volcano off Songs of Innocence. Even worse is the bridge that builds to Bono asking, “Will you be our sanctuary/Refu-Jesus?” Bono somehow thought that lyric was a good idea and enough people agreed to it to make the album. Ugh. For an actually good take from U2 on the U.S., listen to The Blackout instead. It combines excellent distorted guitars with a bouncy rhythm that recalls the swagger of Achtung Baby. The album is bookended by two of the most low-key songs in U2’s discography, where inspiration is found in the darkest moments. Love Is All We Have Left opens the record with shuddering strings and Bono singing through vocoder effects. It’s a strange, gorgeous composition, brought to life by the excellent production of Andy Barlow from Lamb. It makes you wonder what an entire U2 album of these subtle touches would sound like. On the hymn-like closer, 13 (There is A Light), Bono saves one last “letter” for his kids. In a transformed, improved take on Song for Someone, he sings “I know the world is done/But you don't have to be.” Even if things are falling apart, in his children, Bono sees the similarities to his younger self and offers his experience to guide them to a better life and a better world. It’s a beautiful ending that finds hope in the future. By the end of Songs of Experience, U2 answers what their purpose is in the world today. It’s the same as it’s always been, to create music that’s uplifting, passionate, political and personal. It’s to speak straight from the heart to the speakers, from the stage to the rafters. It’s finding joy where you can, even if it’s just for the length of a song.